My first recording, when I was in high school, as a gift to my girlfriend Christine. Christine (the person) is almost single-handedly responsible for me becoming a singer songwriter. When our romance came to a natural conclusion, I automatically dived into male teenage angst and wrote heaps of depressing "feel-bad" songs, many of which are featured on Homemovies, A Poem You Can Keep and My Name Means Horse. Only 3 acetates were made. This and the follow-up, Young Brilliant & American. were recorded in my Perth living room over two weekends with the assistance of my friends Rob Marsh, Paul Sullivan and Mike Meade. These albums (naturally never released) feature all the songs I wrote in high school, quickly enshrined before I forgot them. 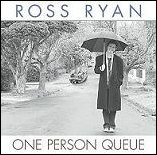 Part II of the With Ross Ryan project. For a couple of years I worked as an audio operator at Channel 9 in Perth. After hours, I recorded Homemovies (90 copies pressed). So depressing that it is barely listenable, this album, remarkably, was picked up by a local radio station (Perth's answer to Cat Stevens and all that). Shortly afterwards I was touring with Roy Orbison and suddenly I was in Show Business. Another lounge room effort consisting of very sick material such as Raw Liver, Chanson De Paix, and Send Me The Pillow You Dream On (I Want To Start a Coalmine). Extremely limited distribution. My first REAL album - recorded in a real studio and everything with producer Peter Dawkins and engineer Martin Benge (former head of Abbey Road). Also difficult to listen to, this effort won Album of the Year and for me, Best New Artist (it was a slow year folks). All in all, I'd been in the business for about 5 minutes. No two ways about it, this sucker was a hit album. Riding on the back of the inexplicably successful single I Am Pegasus, it sold a squillion, allowed me to meet Prime Ministers and pop stars and financed a decade of unrepentant self indulgence. Much thanks to all concerned. The difficult third album. With my 15 minutes set to expire, I plunged into the horrendous "it's hell being an artist" school of songwriting. Not that there aren't a couple of decent tracks here. Blue Chevrolet Ballerina and Postcard From Berlin are probably amongst the best things I've ever written. I don't mind this one. And because it sold less copies than the Christine album, most people don't mind it either. Produced by ex-Little River Band guitarist Rick Formosa and engineered by Mike Vidale. Best tracks are Anthem, Not Going Nowhere and The Ballad of Liberty Drive. The inevitable compilation kiss-off from EMI. Available only at gigs for one short tour, this cassette was my first attempt at cottage industry commerce - a style of business that I have embraced ever since. The sound quality was pretty awful hence its short life. But it was a start! In terms of the artist royalty v record company profit ratio, this and You Can Trust Me are without doubt, two of my most successful projects. Based on my previous cassette, The Lost RR Album consisted of singles, b-sides, demos and lots of dumb stuff. Highlights include I Remember Ross E. Ryan and The Ballad of the Double Bay Batman. During the EMI era I recorded a live album from various campus gigs that I was doing at the time. Before anybody even had a chance to listen to the master tapes, Peter Dawkin's secretary accidentally mislabeled the tape boxes and the tapes were re-used to record a phenomenally successful 1001 Strings album. Years later I taped a five night season of shows at The Troubadour in Melbourne with the intention of releasing a live CD. Due to time constraints, Roger Campbell (the sound engineer) and I only mixed half of it for this promotional cassette - which is essentially a comedy album. Another EMI compilation and my first CD. To bring it up to date, EMI, to their credit, allowed me to include lots of material that they didn't own (ie stuff that I owned). True to their word, they did no promotion and without notification, the album was deleted a few years ago before I was able to buy up the remaining stock which was either destroyed or dumped into bargain bins. Now deleted. A few years ago, I spent quite a lot of time in Tamworth NSW - the Country Music Capital of Australia. Whilst there I met Steve Newton (son of Slim Newton of Redback on the Toilet Seat fame) who at the time ran Enrec Studios. Steve produced this sadly unreleased album of covers that I recorded with country/blues legend Paul Wookey and the cream of Australia's country players. Of all the material listed here, this is the only recording I've been associated with that I actually enjoy listening to. My friend Broc and I formed a duo called The Rambling Duo Brothers, which lasted exactly one gig. This tape is all that survives of that project. This cassette includes 6 songs from the 'One Person Queue' project - most are different versions and songs that appeared on the final release. It also features 2 tracks from "Both Kinds of Music", a Rambling Duo Bros tune and the truly awful "Sounds of Peppermint". Lavishly re-issued by Aztec Music in 2007, the 'Horse' CD came out, by chance, thirty three and a third years after the album's intitial vinyl release. Available through Coathanger Merchandising and all good music stores. Released November 2008 by Coathanger Productions. Available through Coathanger Merchandising and all good music stores.